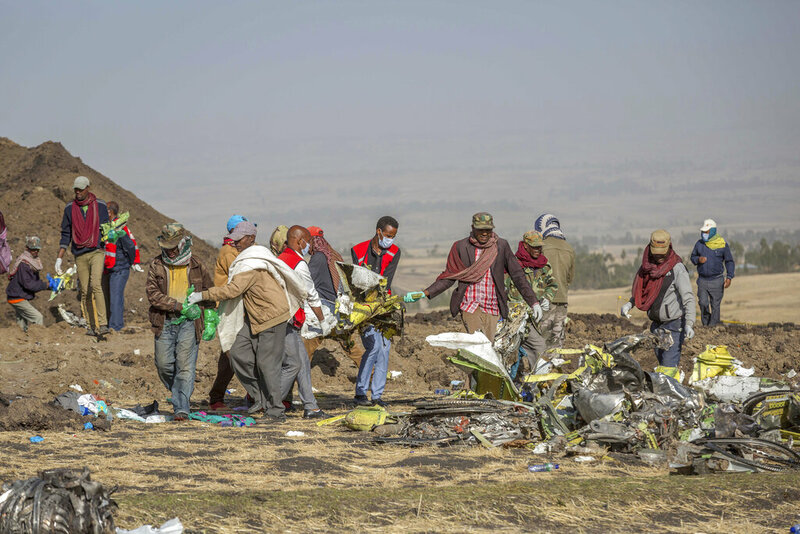 ADDIS ABABA, Ethiopia—The pilots of a doomed Ethiopian Airlines jet followed all of Boeing’s recommended procedures when the plane started to nose dive but still couldn’t save it, according to findings from a preliminary report released Thursday by the Ethiopian government. The plane crashed just six minutes after taking off from Addis Ababa, killing all 157 people on board. The Ethiopian officials did not say whether the MCAS system activated because of a faulty sensor that measures the plane’s angle relative to the wind. One of the sensors, called Angle of Attack, malfunctioned in the Lion Air crash, triggering the MCAS system. But John Hansman, an aeronautics professor at the Massachusetts Institute of Technology, said turning the MCAS system back on after disabling it would be a logical step for the pilots to take. If pilots find that the plane is repeatedly pointing the nose down, Boeing procedures say they should flip two switches to the left of their knees that would cut electrical power to motors that control a horizontal stabilizer on the tail. MCAS points the nose down by moving the stabilizer with the motors. After disabling the stabilizer, the pilots would have had to control it by turning a wheel manually to point the nose up. Turning the wheel is slower than the electric motors, so the pilots could have turned MCAS back on in hopes of using the electric motors to quickly point the nose up, he theorized. Hansman said it’s key to know if the angle of attack sensor malfunctioned, and how long after takeoff it took for the pilots to diagnose the problem and shut off MCAS. The later they shut it off, the less time they had to recover, he said. He also would like to know at what point the MCAS system was turned back on and if it was too late to prevent the crash.